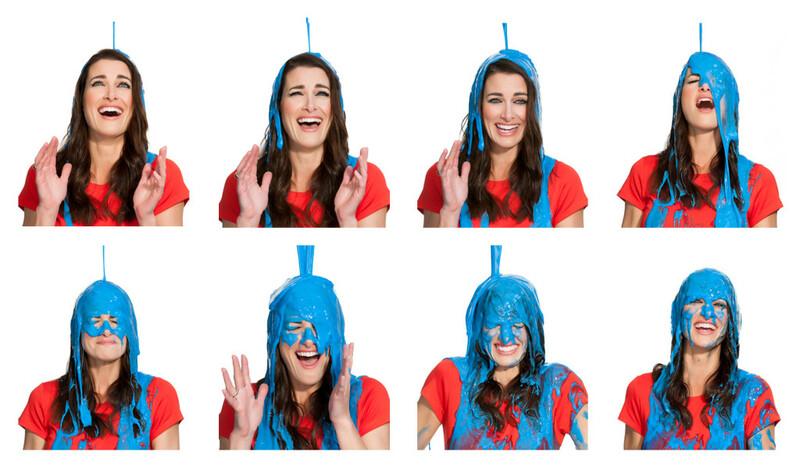 Kirsty Gallagher’s top gunge tips for Red Nose Day! How to stay safe and have fun with your gunge! Click here to check out the gunge recipe! Remember to have a bottle of limited edition Red Nose Day Persil bottle on hand to help clean all the messy clothes afterwards. Gunging is really fun, and Persil takes the stress out of the mess. Once you have prepared the gunge once, feel free to do it again using different colours. Go for a bright pink or orange for your child’s favourite colour.